Bridgetown (Guyana Guardian) – Angered by a massive fraud that spans from Guyana to Barbados to India and beyond, Prime Minister of Barbados Mia Mottley is moving to close down several offshore universities that are operating there, while insisting that she will be implementing new legislation that would make it relatively difficult for foreigners to go there and establish questionable offshore medical schools. Referring to the Washington American University (a sister operation of the Guyana-based Alexander American University) that was operating in St. Phillip, and the recent arrest of its CEO, Venkata Rao Gopi, an Indian national who is also wanted in India in connection with hundreds of fraud reports, the Prime Minister said that “We are going to make sure that that draft legislation comes, because Barbados must never have this indignity again ….”. 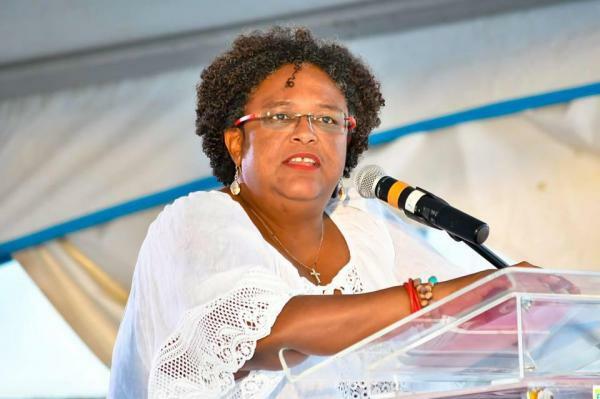 She roasted the previous Freundel Stuart government for allowing the offshore medical schools to flourish in the first place, but assured the public that she would correct this wrong. Washington American University was established in Barbados by Gopi, who also established the Alexander American University in Guyana. Between the two, it is believed that more than 600 people were defrauded by the institutions, one of which is ironically accredited by Guyana’s National Accreditation Council. Both bogus universities were unceremoniously closed down last week, after Gopi was arrested, following news reports that he was wanted in India in connection with a massive fraud that has since seen several students committing suicide. Barbados will become the first Caricom member country to clamp down on offshore medical universities amid the many scandals involving them over the year. The Bahamas and Antigua have also said that they will follow suit, while Dominica which is currently searching for an offshore medical school replacement, says that it will now have to revisit and further scrutinize the applications that it has on file. On the other hand, Guyana has over a dozen offshore medical universities. In the wake of the recent Alexander American University scandal, several observers including two respected legal minds are insisting that the Guyana Government should certainly take another look at these institutions, and revise legislation aimed at strengthening the vetting and accreditation processes. Terribly tough for the defrauded students. Time, energies, and investment wasted. Dreams shattered. How could Guyana allow such a university to operate there and to accredit it as well? We need answers. The pain and suffering on the students and their families are immeasurable. What would Trump have to say about this fraud? Trump: this can only happen in s-..le countries.